Insulated shipping boxes are used to safely ship perishable items such as food and medical supplies. The insulation in these boxes helps to maintain a specific temperature range throughout the course of shipping. 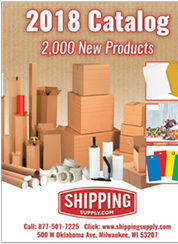 ShippingSupply.com’s insulated shipping containers also feature a thick molded foam insert to protect the contents from being crushed or damaged during shipping. Combine these insulated shipping boxes with ice cold packs to ensure the contents stay cool during shipping. All insulated shipping containers and supplies are reusable and recyclable, making them the most practical and cost-effective way to ship food, medical supplies and other perishable items.